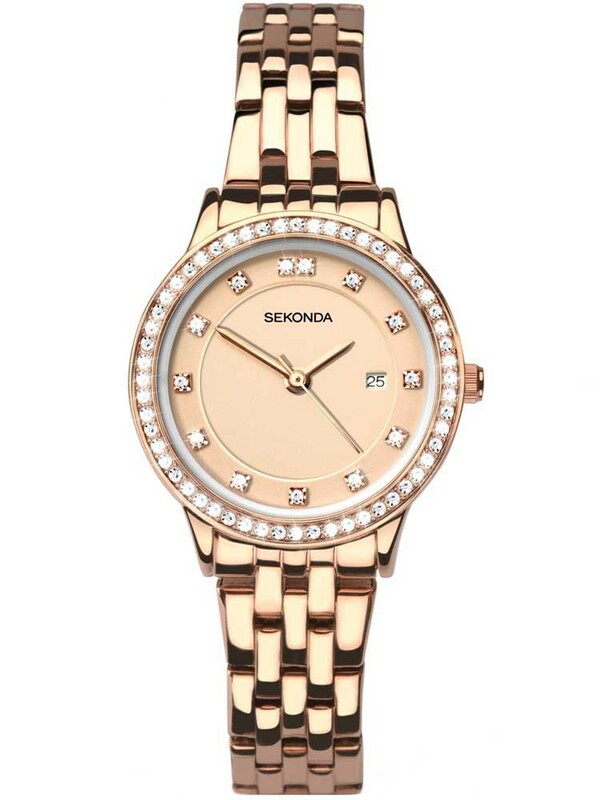 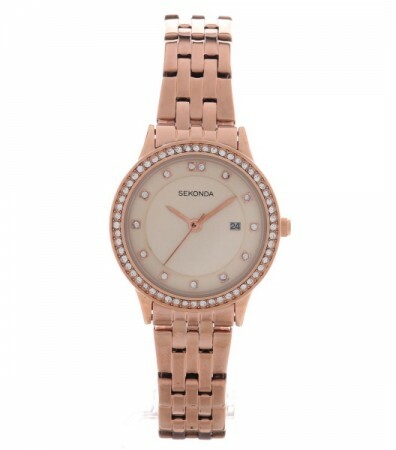 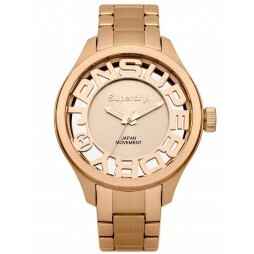 Brighten up your look and complement your style with this incredible watch from Sekonda. 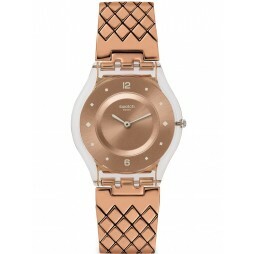 Divine stainless steel has been perfectly crafted to form this piece, which has been plated in radiant rose gold. 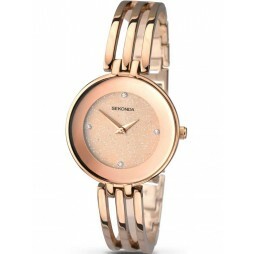 A stunning array of twinkling crystals frames the bezel, providing a glistening and alluring aesthetic quality. 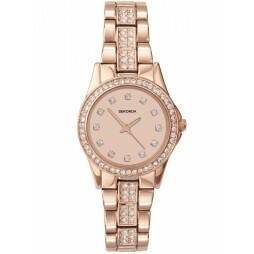 The fabulous rose gold dial is accompanied by matching dial hands and crown, alongside a handy date display. 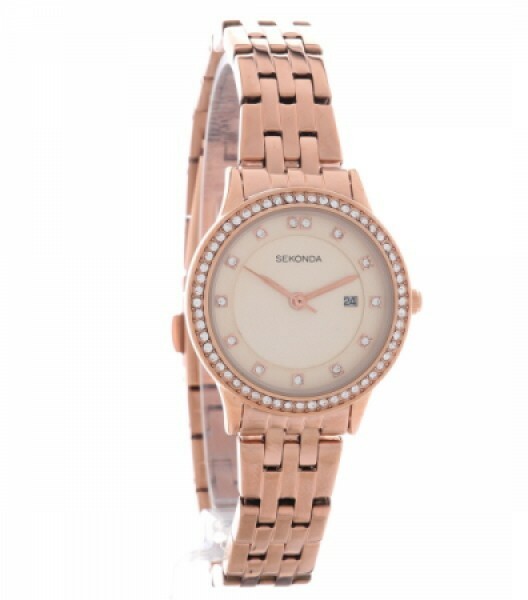 Sparkling crystals also decorate the dial, creating unparalleled fashionable hour markers; with the brands logo completing the piece.